The second millionaire created from PokerStars Spin & Go tournaments as part of the PokerStars Makes Millionaires promotion is ‘meks2410’. The PokerStars player won the huge $1 million jackpot from just a $10 stake, hitting a full house for good measure. On May 21, two millionaire-making tournaments will begin in the Spring Championship of Online Poker (SCOOP) via the $10,300 SCOOP-55-H Main Event at 14:00 ET and the $1,050 SCOOP-01-H NLHE Phase 2 at 12:30 ET. ‘FaNjkEEE’ took down the SCOOP-31-H: $2,100 NLHE, defeating 876 players and collecting $284,918.82, the largest portion of the guarantee-beating $1,753,000 prize pool. This was the Ukrainian’s first six-figure online tournament earning. The amount won by UK postman Ben Scott after he received enhanced odds of 5,000-1 from BetStars on his £10 bet for Chelsea to win the Premier League title. The 26-year-old Mackem said the huge prize is a ‘life-changing’ amount of money for him and his partner Laura that will help them buy a house. Ben posted the bet before the start of the season and received promotional odds of 5,000-1, the same odds Leicester City overcame to win the 2015-16 league title. His original bet of £10 for Chelsea to be champions was placed against 5-1 odds and would have won him £50. He has now scored a whopping £50,000 thanks to the Blues winning the league last week with a 1-0 victory over West Bromwich Albion. From May 25-28, the second PokerStars London Series will take place at PokerStars LIVE at The Hippodrome Casino in the heart of London's West End. The £275 PokerStars London Series will feature a £40,000 guarantee, 25,000 starting stack, and four starting flights, including a new Saturday Night Turbo flight at 8pm. PokerStars Festival Chile kicks off this weekend for eight days of fun-filled poker action in the city of Viña del Mar, Chile’s top touristic destination. Taking place in the luxurious Enjoy Viña del Mar Casino & Resort, just over 120 kilometres from the capital Santiago, the festival will feature a schedule packed with tournaments for every bankroll. Buy-ins range from $220 to $3,300. Last year, during the PokerStars sponsored event in Viña del Mar, Brazilian Rodrigo Strong was crowned champion and took home the $120,565 prize after topping a 565-player field. 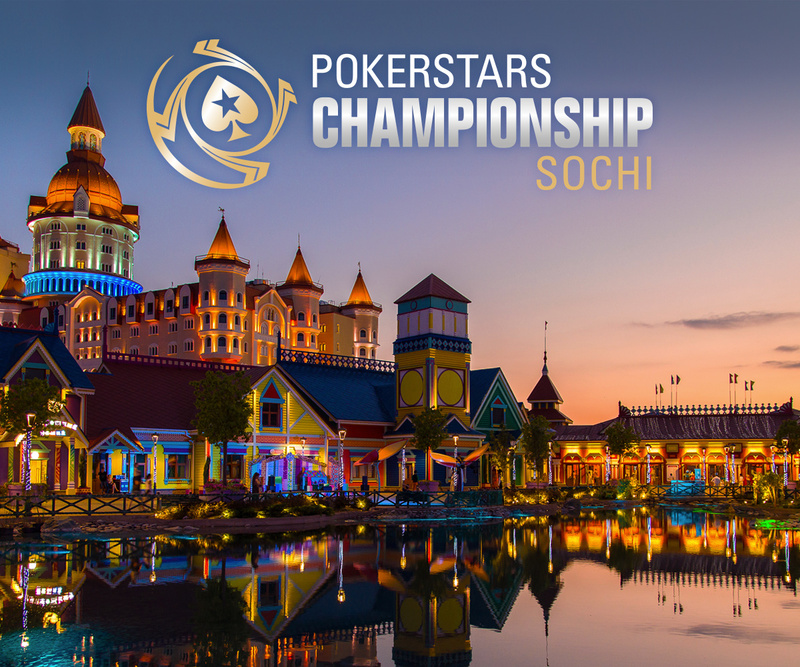 PokerStars Championship Sochi takes place from May 20-31. Players can expect a world class event in an exciting location with a range of tournaments and formats tailored to suit players of all levels. The schedule features must-play events such as the RUB 66,000 (approx. $1,160) PokerStars National Championship and the RUB 150,000,000 guaranteed PokerStars Championship Main Event. As well as exciting poker action at the tables, there will be plenty of other activities for players to enjoy including a special StarsFun Karaoke Singstar night at Medora Karaoke Hall on May 30, daily virtual reality experiences, experiential activities such as bungee jumping and extreme tours and the Player Party at Sky Bar on May 27 from 9pm. For further information go to the PokerStars welcome desk upon arrival. Andreas Klatt won the first ever PokerStars Championship WPT MonteDam Swing leader board earning a PokerStars Championship Barcelona Main Event package worth €7,500. Klatt won the PokerStars National Championship Monte Carlo for €151,445 and finished runner-up in the PokerStars Championship Monte Carlo Main Event for €402,786.